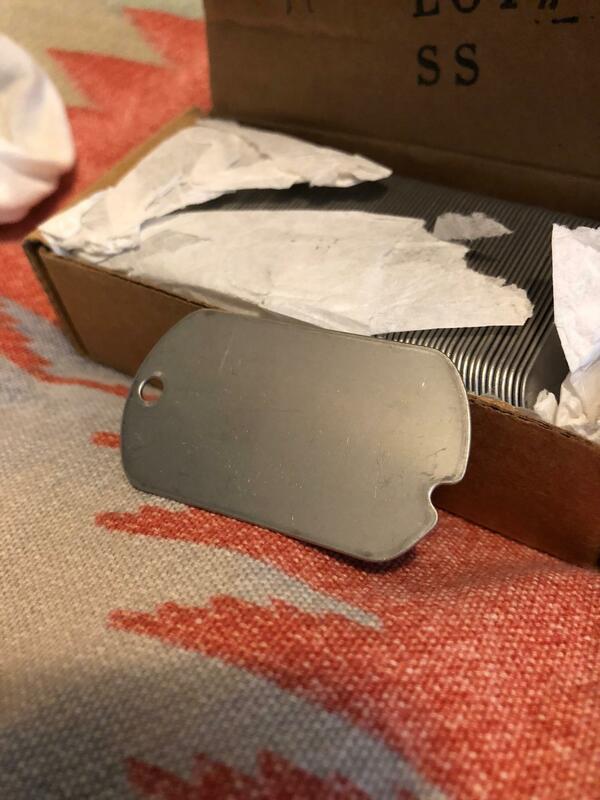 Are these real WWII era blank notched dogtags? Recently bought this box of new old stock notched dogtags. Do these look authentic and period to you guys? The box looks a little off to be 1940s to me. Any help on these is greatly appreciated! I'm not an expert on dog tags, but I think they're real. You can do a search just on 20304DD4114 and it'll pull up some links to dog tags. Evidently, "they" still use that number today because I think one of the links even brought up some from Office Depot and Amazon. The current ones I saw don't have the notch and they look somewhat cheaper made as in not as thick. That's what makes me believe yours are NOS tags from earlier. Edited by aznation, 15 April 2019 - 05:27 AM. Edited by avigo, 15 April 2019 - 07:04 AM. I have a box of the more brass colored ones.Its about 3/4 full. Does your box look like this or different? They used these tags for years. 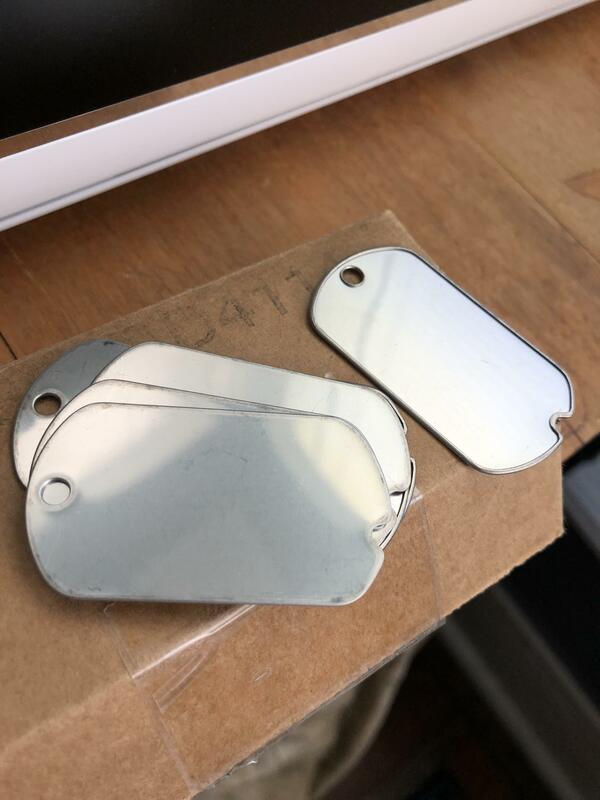 I recall reading the fist major change in the dog tag was in June 1965 where the new specifications stated the tag would have two holes,one at each end and no notch.These were not or have not been seen in large numbers or full embossed according to the book. The next change and specifications were for the M1967 tag (plain oval,no notch)` which came around in Army spec from November 1967.The edge was still rolled.I recall this M67 tag was worn or used as far as into 2002.I don't think another book has been written on tags or not aware of any updates. Im thinking there were cross over periods and notched and no notch could be found durng the 60s.The specs detail the type and thickness etc of the tag and the materials used.Many of the changes on later tags had to do with the embossing of name ,Social security number,etc and the location of arrangement of the embossing. 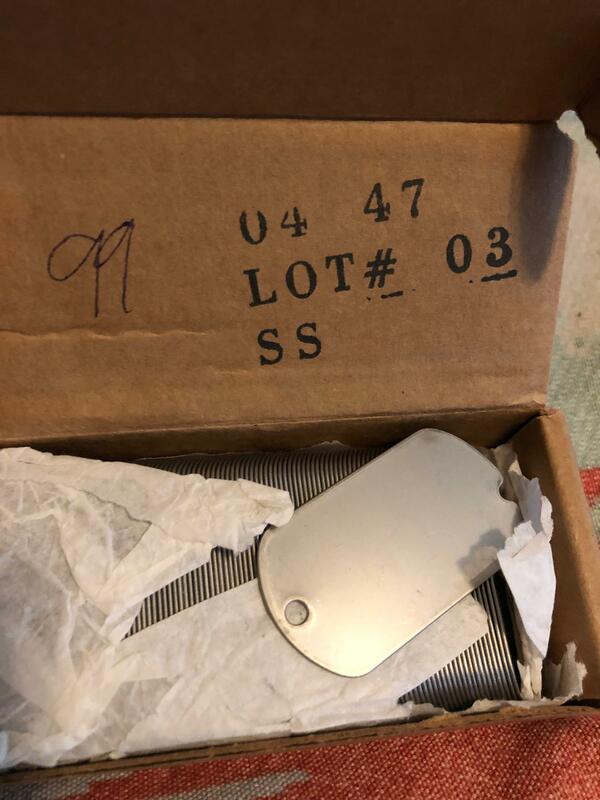 If the ones posted were military issue why isn't there a spec number and date or DSA number on the box?Also read where the army would refer to the tags as corrosion resistant opposed to Stainless Steel when referring to the specs etc. Edited by doyler, 15 April 2019 - 10:12 AM. Here are a few blanks for comparison. So far I believe these are correct for the WW2 era (but I may be wrong). I wouldn't know about the tags themselves . 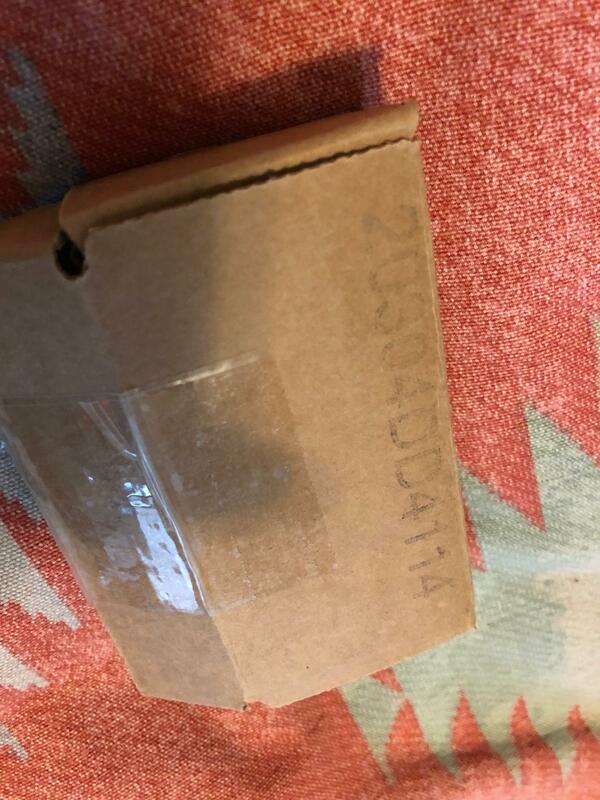 . . but the box definitely is not old. And seeing as the box is made for those tags, I'd wonder about the tags. Yeah, I'm pretty convinced they are modern reproductions! There are a lot of people out there making them. I will probably just stamp them up and have fun with them at this point! Thank you for the information! It was very helpful. I agree and think that they are modern blanks made for surplus/reenacting. Have you got a stamper for doing tags? I actually had a graphotype 500 that I recently sold, but I have several of the WW1 era hand stamping kits that I might use!